Have you ever desired a fun family tradition that is centered on the true meaning of Christmas? Do you aspire to teach your children about the joy of giving to others? The Christmas Angel is Restoring the Spirit of Christmas ONE MESSAGE AT A TIME! 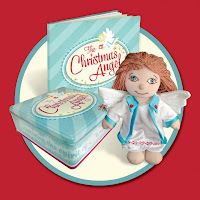 The Christmas Angel is an exciting and creative way to make a lifetime impression on your children during the Christmas season! Angel’s next message and their eagerness to act it out that day! 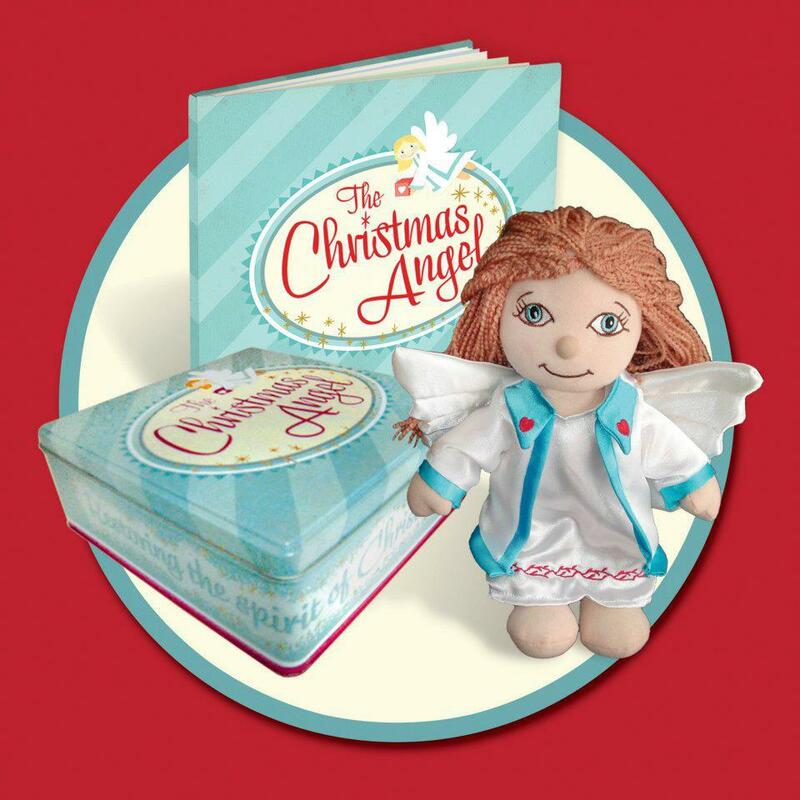 The Christmas Angel giftset comes with an 9-inch plush angel, a beautifully illustrated book and a pouch of golden dust all kept in a keepsake tin that can be used year after year! The Christmas Angel captures the heart of the season with the imagination of our children! With the help of The Christmas Angel, you will be able to begin instilling in your children that the greater blessing is in giving rather than receiving! Choose this Christmas to create memories that will last a lifetime! RGC’s review: Your children will always remember your family traditions especially the traditions which happen during the holidays. The Christmas Angel package does a wonderful job assisting you with establishing family traditions. When our daughters (age seven & two) first saw The Christmas Angel they were totally hooked! They couldn’t wait to read the story over and over. The gold dust is a great, creative way to reinforce to your children the message that’s being conveyed in the book, “joy of giving to others”. The 9-inch plush angel is made to last, and is a really cute doll. This would be an awesome tradition to start and maintain with your family or could be a great gift to share with others. To enter the give-a-way complete one or more of the options below. TWO winners will be picked on November 10th. The winner will be contacted via email and has 72 hours to respond with their address. The more options you complete the better chances you have of winning.